David Haye expected to officially announce his retirement - Is “The Hayemaker” Hall of Fame-worthy? 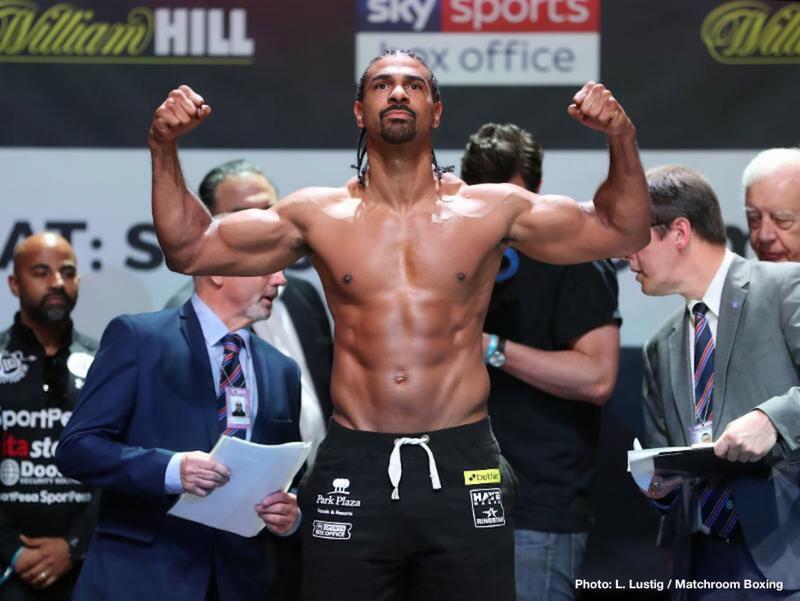 David Haye expected to officially announce his retirement – Is “The Hayemaker” Hall of Fame-worthy? And insiders are now suggesting Haye, a smart man, has made up his mind and, barring one massive change of heart, he will indeed call it a career. The critics are plenty when it comes to Haye; a fighter who should have achieved more but who achieved plenty all the same. Does Haye have any shot at going into The Hall of Fame when the time comes? The instant reaction most fans will almost certainly have when reading this question is to yell out a resounding ‘No!’ And it’s understandable fans will feel this way. The disappointments have been plenty in Haye’s career, and the more recent disappointments – the back-to-back losses to Bellew and, going back further, the wide decision loss to Wladimir Klitschko and with it the now infamous “Toe-gate” incident – tend to overshadow Haye’s solid achievements. Haye, during a pro career that began in 2002, became only the second-ever man to unify the cruiserweight titles, he won a portion of the heavyweight title in capturing the WBA belt and he scored fine wins over: Jean-Marc Mormeck, Enzo Maccarinelli, Nikolai Valuev, John Ruiz and Dereck Chisora. Added to this is the honour Ring Magazine no less handed Haye a while back, in calling him the finest cruiserweight of the decade for the 2000s. Is all of this enough to get Haye a spot in The HOF? With a final record of 28-4(26), Haye should have been more active and had more fights, yes, but his away win over Mormeck (France) cannot be taken away from him, nor can his brilliantly marketed and promoted away win over the gigantic Valuev (Germany). The early loss to Carl Thompson aside, Haye was only ever stopped by Bellew and his body had already began to break down by then, his prime years having passed. Yes or no: does Haye get in? Most will scream no, but some, this writer included, say yes. Just. You are here: Home / Boxing News / David Haye expected to officially announce his retirement – Is “The Hayemaker” Hall of Fame-worthy?